Are you an avid gardener who loves planting and cultivating lots of flowers, plants, and crops? Is your garden teeming with tons of color from your efforts? If you answered “yes” to either or both of these questions, then you can surely consider yourself a passionate, skilled home-grower. In any case, perhaps you are looking for your next gardening project and with that you are looking for a good garden soil to get started. 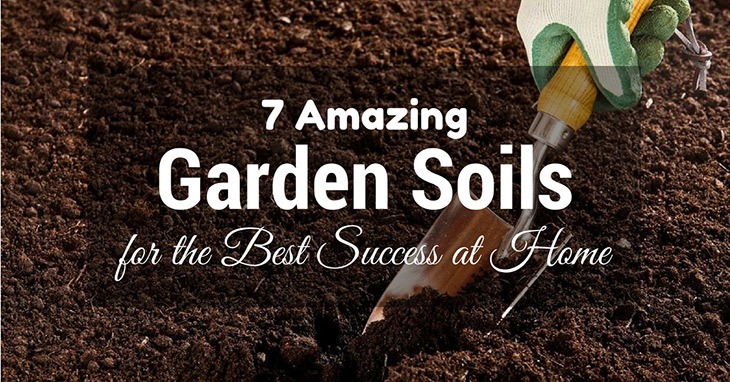 In this article, we will give you our list of soils that can be guaranteed to benefit you and your gardening area. Soon, you will have even more wonderful plants and flowers! 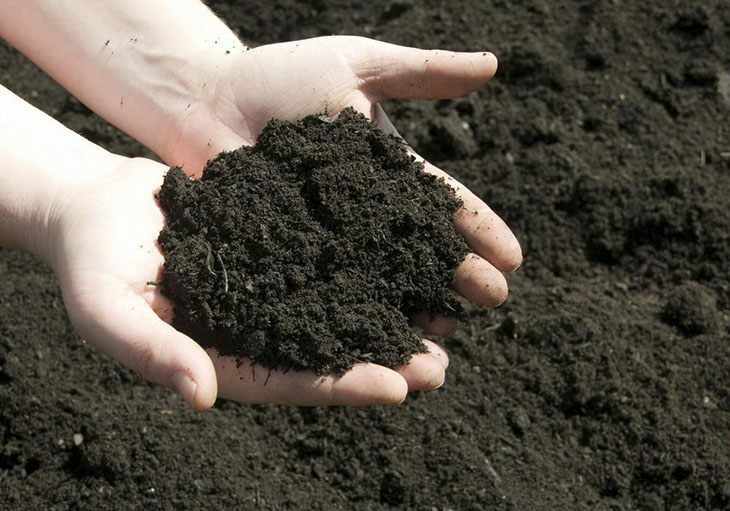 With this particular type of soil, you can use it to plant a variety of plants and crops, including large trees, shrubs, and vegetables such as beets and spinach. Composite-wise, it consists of larger, stonier material that is free-draining, i.e. with cracks that make it easier to drain, thus allowing the water to seep through better and reach the roots. In addition, chalky soil contains naturally alkaline properties or, in other words, containing a pH of 7. It is a basic material, which on its own can cause plants to be stunted in growth and yellowing leaves. That is why it is encouraged to supplement chalky soil with other materials, such as fertilizer or humus to balance out the pH system. That way, you can have a better-regulated garden to harvest and grow. Considering that this special garden ﻿soil tends to be damp and compact when wet, then solid when dried out, it is not the best option as a free-draining soil to rely on for growing plants. Yet, despite the fact that it has a poor drainage system, it can still be used to harvest tons of perennials and crops, the latter especially those in the summer. Even further, fruit trees work well with clay soil. If you are struggling to figure out how to make clay soil more free-draining, then there is no need to worry. You can watch this video to learn more about how you overcome the challenge, while also making your gardening experience with clay soil a better, happier one. This type of soil is seen as the “ideal one” to have when growing just about any kind of plants, crops, and/or flowers for your garden. The main reason as to why this is the case is because it consists of a combination of different soils: clay (7-27 percent), sand (52 percent), and silt (28-50 percent). Additionally, it includes humus as well. Due to all of these amalgamation of soils, loam has higher pH and calcium properties than if you were to use each individual soil by itself. Characteristically-speaking, loam soil is a rich, dark color and tactically, it feels soft, crumbly, and slightly damp. It retains water really well, due to its clay composite, but it also drains relatively freely from its sandy properties. As a result, there is plenty of air circulation and water retention going on in the plants themselves, so that it strikes a balance for good plant growth. For more information on the properties of loam soil, you can refer to this article on the subject here: What is Loam? With a high acidic level and a dark, spongey feel to it, peaty soil is able to retain a lot of water which consequently results in a lack of free drainage in the system. With that said, it is necessary to create channels in the soil to air out the plants’ roots, so that they can grow properly. Even further, it is a good idea to supplement peaty soil with organic matter to balance out the acidic pH composition, as means of producing ideal growth in your plants, flowers, and crops. By doing so, it can really enrich the production of shrubs like heather and rhododendron, as well as crops like legumes and salad greens. Commonly found in very dry regions, saline soil comprises of high levels of calcium, sodium, and magnesium. These neutral salts are not the most ideal for growing plants, for they can stunt plant growth and create draining problems. However, while it is not the best type of soil to have around your garden, it is nevertheless easy to spot and prevent if you do so. Usually, you can tell if your plants are not growing very well, as well as having a white coating on their leaves and also leaf-tip burn. Noticing these symptoms can help you to take the next step to changing soil. If you are still curious about learning about saline soil, this article goes into more detail on the topic: Saline Soils and their Management. Compared with other soils listed here so far, sandy soil consists of the biggest particle, although not clunky or rocky in composition. In other words, it is dry and granular, which you might expect from experiencing beach sand and such. That being said, the properties of sandy soil make it very easy for water to drain through, although it can cause it to be drained too quickly, therefore not allowing enough time for the plants’ roots to soak up the nutrients from it with the soil. Another situation is that the sandy soil does not soak up the water at all, and instead the water runs off along the surface without seeping into the soil in the first place. The best way to deal with this situation is to look for a good sandy soil. It is simply not just a matter of picking up sand from the beach, but rather doing your research and finding one that is light but also crumbly enough when damp. Silty soil is finer and when damp can retain water better than its sandy counterpart. It is a wonderfully-fertile soil, but it also does not keep that as much nutrients as you might have desired. Additionally, it can be easily compacted and as a result does not have a good aeration system. Nonetheless, there are ways to improve its draining system: by supplementing it with organic matter like compost or fertilizer, making sure that it is not overly compact, and being careful not to overwater it, silty soil can be a great advantage to have when gardening at home. In particular, shrubs and trees such as cypress and willows, as well as flowers like irises thrive in silty soil, so make sure to keep these plants in mind when planning your next gardening project! For more information on silty soil and its properties, you can check out this article here: Growing and Gardening in Silty Soil. ​All in all, choosing garden soils can really make a difference on how your plants, flowers, and crops turn out in the end. There are many aspects to consider when deciding on your soil, from its aeration system to pH properties to water retention. Hence, looking into all of these properties will help you stay on track when it comes to growing good, healthy plants. We guarantee you that your garden will be teeming with colors and freshness, as long as you know which soil to choose! Enjoyed this article? Feel free to comment and share!